New Interim HealthCare franchisees receive guidance and support in all phases of the start-up process and throughout the life of their franchise agreement. Our support ranges from reviewing the selection of a site to grand opening promotions and everything in between. This includes helping franchisees fully understand how to operate their new home care, healthcare staffing or hospice business. We have a team of healthcare franchise professionals who collectively have more than 100 years of experience in their areas of expertise including finance, risk management, training, human resources, marketing, sales and operations. And because Interim has developed its systems over the last nearly 50 years, we have a distinct market advantage in understanding all the business models from non-medical home care, to Medicare Certified home health, Medicaid and Hospice. Our experienced clinical team is up to date on what is happening from a national and industry perspective that could present new business opportunities, as well as those which directly impact local home care and hospice operations. And Interim’s operating systems are continually reviewed and updated based on new Federal law and regulations. 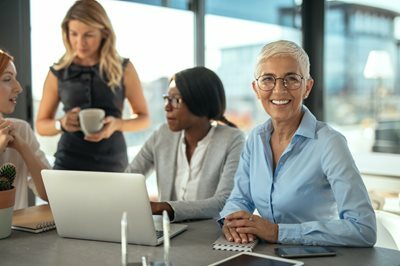 Interim has a fully staffed support services team, whose members are dedicated to providing assistance and expertise to franchise partners in home care. Another great benefit of joining Interim HealthCare is the support you receive from other franchisees. Our current franchisees are very supportive of new additions to the network and are willing to share what has worked for them in running a successful home care business. Dedicated Business Consultants to assist with business/finances training, marketing and sales, operations, finance and human resources. Interim University, a 24-Hour Web-Based Learning Management System that allows you and your staff to access continuing education and in-service training. On-line portal with hundreds of documents and applications including manuals, local marketing collateral materials, templates and much more. Our support consists of a dedicated team of hospice experts with extensive experience in operating a successful business. In addition, Interim’s clinical team has more depth than any other healthcare franchise in the industry. The moment you become a franchisee, you are guided on a path that is aligned with the common goal of putting everything into place that optimizes your opportunity to succeed. The Interim HealthCare hospice support team will assist you in providing care in a dynamic, regulatory rich environment to patients experiencing an end-of-life illness. Your hospice consultant will guide you through and help you understand the regulations, policies and procedures and ensuring patient choices so that you are confident in your application of them with a focus on quality of care and compliance. Providing hospice care to patients and families is a very rewarding experience.